The paths less travelled, mountains represent heights of Nepal’s extreme topography & thrilling holidays. Blessed with wealthy culture, Kathmandu Valley is a mini Nepal. It has seven world heritage sites..
Nepal is an exotic Business Destination. With a right mix of culture & heritage, it is apt for organizing meetings and events. 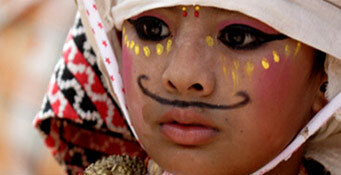 Nepal has a spectacular array of festivals organized throughout the year. 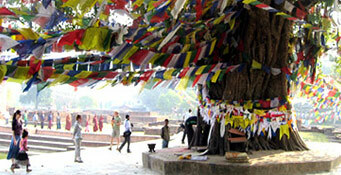 Any visit to Nepal almost coincides with at least one, making the trip rich in terms of cultural experiences as well. Participating in these celebrations give tourists a thriving ground for flourishing travel experience. The chariot festival, masked dance, spiritual congregations and cultural celebrations can be enjoyed with great fervour and excitement during Nepal cultural tour. here gives a merit to the pilgrim for following the Mahaparinibbana Sutta. According to this sutra, the lord suggested his followers to visit the Lumbini along with Bodhgaya, Sarnath & Kushinagar to gain sentient understanding and inspirations from Buddha’s life.